Miraculously the mathematical size and distance ratios of the Sun, Moon and the Earth are in sync to each other, so as to produce partial or total eclipses of these celestial bodies, as viewed from each other. Because of the light of the sun, the earth produces 2 shadows, an outer or penumbral shadow, and an inner or umbra shadow. 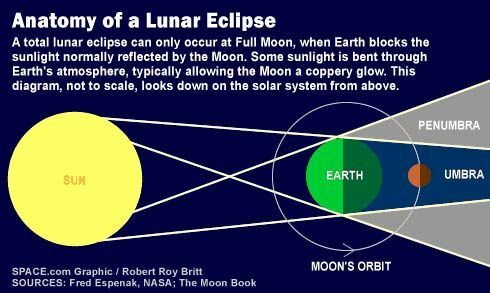 The Moon is eclipsed or obscured from the light of the Sun by the orbital intrusion of the earth's inner shadow and its synchronous size and distance ratios to the Sun and the Moon. As seen from the Earth, Blood Moons are full Moons that will pass through the inner or umbra shadow of the earth. When this happens the Moon begins to eclipse in the umbra shadow of the earth and will phase back into a full moon with a color similar to blood. The effective cause of the remarkable event is that the ultraviolet rays from the sun are bent around the earth's atmosphere to produce the reddish color of light on the total surface of the eclipsed moon. Please view the following NASA video for a clear understanding of the phenomena. The sequential occurrence of four Blood Moons that occur in a 2 year period, are called a tetrad. Since the 1940's there has been 2 sets of Blood Moon Tetrads that have occurred, and a 3rd set of the Blood Moon tetrad is taking place during the years of 2014 thru 2015. Each one of the Blood Moons in the tetrad, have all occurred on the Jewish Feast of the Passover with Unleavened Bread, and on the Feast of Tabernacles. In the past and today the Blood Moon Tetrad's have been warning signs for the times relating to Israel. Blood Moon Tetrad of 1949-1950: May 14 1948 was the rebirth of Israel as a nation state. In 1949, the United Nations brokered a cease fire that left the State of Israel in permanent control of its conquered territory. July 5th 1950 the right of all Jews to return to Israel. Blood Moon Tetrad of 1967-1968: 1968 Israel's 6 day war, with a victory over the Arab nations. Israel increases its borders, capturing from Jordan, Egypt, and Syria the City of Jerusalem, the Sinai Peninsula, the Gaza Strip, the West Bank, and the Golan Heights. There are 6 sequential lunar and solar signs that will occur, or have already occurred on the significant feast days in the Jewish calendar. 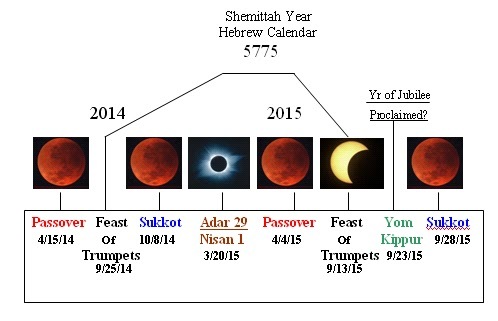 Again, there are the 4 blood moons that occur on the Jewish high holy days of Passover and Tabernacles, beginning in 2014 through 2015. In conjunction there are 2 solar eclipses that will occur in 2015 on the 2 days that begin the new year days of the Jewish religious and secular year. Also in 2014 there are 2 additional solar eclipses that will take place. Each of these 2 additional solar events take place just 15 days after the Jewish high holy Feast. Outline information is marked with an "a." April 15, 2014 On Passover, Nisan the 15th: The first of the four blood moons took place. The entire lunar event was visible in the Pacific Ocean, North America with the United States, and in South America. a. April 29, 2014 partial solar eclipse NASA report: The first solar eclipse of 2014 occurred at the Moon's descending node in southern Aries. 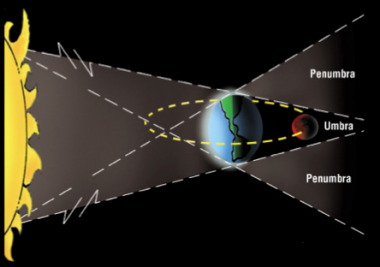 This particular eclipse is rather unusual because the central axis of the Moon's antumbral shadow misses Earth entirely while the shadow edge grazes the planet. Classified as a non-central annular eclipse, such events are rare. Out of the 3,956 annular eclipses occurring during the 5,000-year period -2000 to +3000, only 68 of them or 1.7% are non-central (Espenak and Meeus, 2006). (Seen in full Window Figure 2). October 8, 2014 On the Feast of Tabernacles (Sukkot) Tishri the 15th,: The second blood moon has occurred. This lunar event was seen principally in the Pacific rim, but includes the United States and the Americas until the setting of the moon in the east coast of the states. The eclipse was not visible in Europe, Africa, and the Middle East. 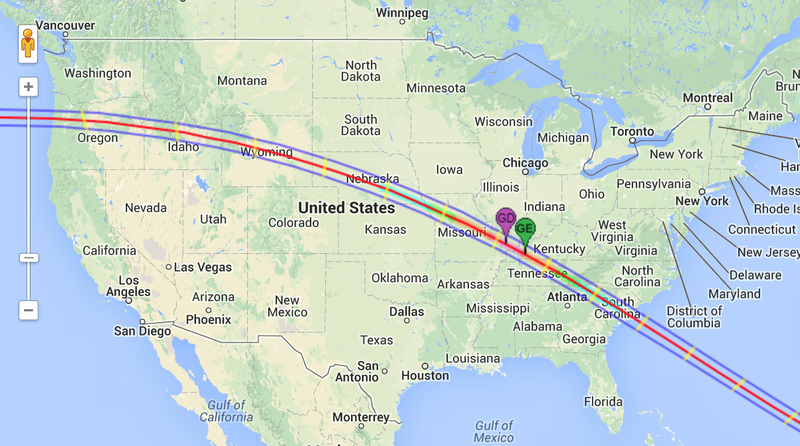 March 20-21, 2015 A total solar eclipse will occur at the beginning of the Jewish religious calendar Adar 29/Nisan 1. This event is even more remarkable, because it is a triplet of celestial wonders. This solar eclipse happens on the day of the spring equinox with the moon being at its closes distance to the earth, which is referred to as a super moon. The event was visible as a partial eclipse all across Europe as it was visualized in these troubled nations: United Kingdom, Ireland, Portugal, France, Germany, Poland, Norway, Sweden, Denmark, Czech Republic, Hungary, Austria, Italy, Greece, Montenegro. Also the shadow of the Moon will cross across North Africa, Western Russia and Ukraine. The last time a solar eclipse happened on an equinox, was 1662. View NASA's video clip of this solar eclipse. April 4, 2015 On Passover, Nisan the 15th: The third blood Moon will occur also as a super moon. The Full Moon event can be viewed throughout western North America Eastern Australia and the islands of Oceania. This will be the shortest total eclipse seen in the 21st century, lasting 4 minutes and 43 seconds. September 13, 2015 The second partial solar eclipse will occur on Rosh Hashanah (Feast of Trumpets), at the beginning of the civil new year on Tishri 1. The partial solar eclipse begins over the Antarctica continent, and is visible in the South of Africa, the south Atlantic and Indian Oceans. September 28, 2015 On the Feast of Tabernacles, Tishri the 15th the Jewish year of 5775: The fourth blood moon of the tetrad will occur. The peak affect of the full Blood Moon eclipse is at the equator just off the east coast of Brazil of South America. The viewing area includes Europe, South/East Asia, Africa, Much of North America, much of South America, Pacific, Atlantic, Indian Ocean, Arctic, Antarctica. The Hebrew word Shemittah means release. (Exodus 23:10-11 and Leviticus 25:20-22.) God set Israel's agricultural cycle to be 6 years of growth with the seventh year to be a full Sabbath year of rest. In the seventh year, Israel was to let its agricultural land lay fallow. Also, in the release, all debts within Israel were to be cancelled. (Deuteronomy 15:1-10). This seventh year of agricultural rest is reported to have been reinstated in Israel with subsidies from the government. Apparently the date began on the Jewish civil new year of Rosh Hashanah on Tishri 1, 5775; on the Gregorian calendar 09/25/2014, and ends with the solar eclipse on Rosh Hashanah, Tishri 1, the beginning of the year 5776; on the Gregorian calendar 09/13/15. Scripturally 70 years seams to be a prophetic time period within a generation. Perhaps this 70 year generational time period has already begun, for Israel became a nation in the year of 1948 and recognized as such in 1949. With prophetic interest, the first 2 blood moon were fully witnessed in the United States, with the last 2 blood moons also being visible. Oops! I failed in my research to notice that a total eclipse of the Sun on March 09, 2016, would take place, bringing darkness over the Pacific area of Indonesia. The next total solar eclipse, worth noting, will occur on August 21, 2017, and will bring darkness throughout all of the United States. 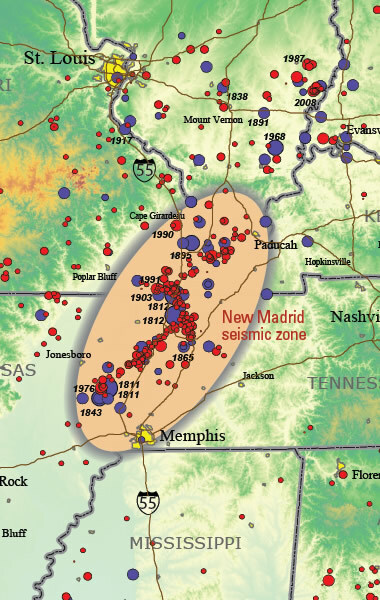 This total solar eclipse will cross the middle of the States, with the greatest visual affects of the eclipse occurring near the New Madrid seismic fault zone. in the day of a Blood Moon event? It is highly likely that there was a full blood moon eclipse in the evening of Nisan the 15th, the day that Jesus the Christ of God was crucified to death for the sins of the world. The scriptures in the book of Acts seem to bare record of the event, although scientific calculations do not line up exactly with the witness of Peter. On the day of Pentecost, Fifty days after the Lord's crucifixion death, the mighty Wind of the Spirit of God began to blow in Jerusalem. With the sound of this Wind, there began to be crowds gathering around the place of the upper room where the disciples had again gathered in obedience to the risen Christ of God: The Apostle Peter, when standing outside the room with the other disciples, lifted his voice and began his exaltation utilizing the prophetic words of the Prophet Joel: I will show wonders in heaven above and signs in the earth beneath; blood, and fire, and vapor of smoke: The Sun shall be turned into darkness, and the Moon into blood; before that great and notable day of the Lord comes. And it shall come to pass that whosoever shall call on the Name of the Lord shall be saved. (See Joel 2:30-32.) The Almighty God, while waiting patiently for the the repentance of man kind, would give signs and wonders in the heavens and the earth; The Sun shall be turned into darkness, and the Moon into blood; The most marvelous sign of all is witnessed, when God in His Love for man kind sacrificed His only begotten Son for the sins of the world, and in Christ's Perfect obedient Love Holy God Almighty raised the Holy One, Jesus Christ, from the dead. Now that this great wonder has come to pass then: Whosoever shall shall call on the Name of the Lord shall be saved. The day of God's great judgment is yet to come, but then again these approaching 70 years since Israel became a nation again, have revealed great advent signs of the coming day of God's reckoning. God is not limited in the dynamics of His universe, but is only limited in the mind of man that is without His Word of Faith. But, we postulate by faith that on Nisan the 15th, the first day of the Passover and the Feast unleavened Bread, two remarkable events took place in the heavens; a Blood Moon and the total eclipse of the sun. On that same day of a full Blood Moon, when Jesus Christ supped with His Disciples, the old covenant ended, and then the Salvation of God instituted God's New Covenant in His own Life Blood. Then later in the day, when Jesus/Yeshua was crucified on the cross, the sun was darkened by an eclipse, then with His death on the cross, the earth quaked and the rocks were rent, and the temple veil was torn from top to bottom. Something to be considered is that on October 7 of the same year 32 NASA calculates that a full Blood Moon eclipse also took place. By unitizing Jewish calendar calculations, then that total Blood Moon eclipse fell on the 4th day (Thursday) of the week of the month of Tishrei the 15th of the Jewish year 3793, being the Jewish Feast of Tabernacles. Just another remarkable coincidence in God's calendar of time! God has been patiently waiting for the return of fruit from His Salvation investment planted into the receiving souls and minds of mankind. God is not willing that anyone should perish, but that all would come to repentance and receive His Gift of Love and Mercy that is in the sacrificial death of His victorious and risen incarnate Christ, Jesus the Son of Man.